Via graphicpolicy.com we have the IDW Lost Light #20 Full Preview to share with you. On this is a 5-page preview, thing get more complicated for Rodimus and company. 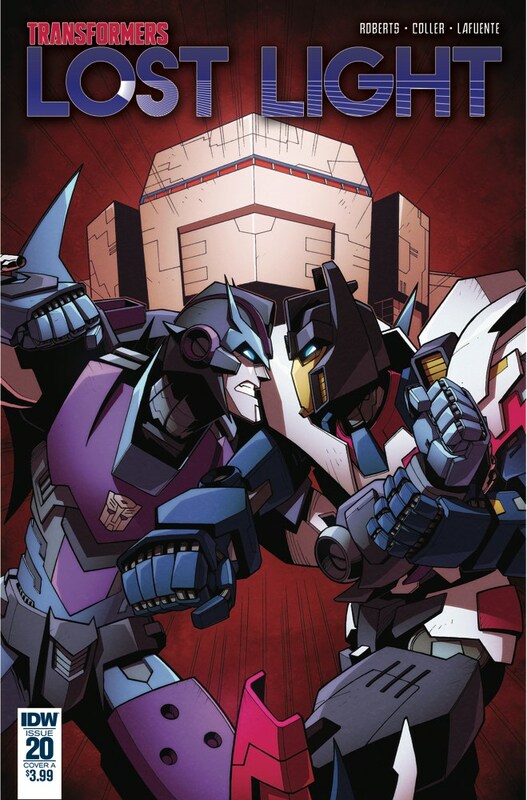 Ratchet is against the clock to try to find a cure for the Sparkeaters, Cyclonus is on his way to battle Star Saber, and good-old Rodimus has to face Getaway… but as your should imagine, this won’t be a fair fight. Transformers: Lost Light #20 James Roberts (w) • Casey W. Coller (a) • Jack Lawrence (c) Rodimus vs. Getaway! Finally! Release date:* *Jul 11, 2018 FC • 32 pages &#187; Continue Reading. The post IDW Lost Light #20 Full Preview appeared first on Transformer World 2005 - TFW2005.COM. Nope. Getaway is a shite villain at this point.